Housing in San Francisco’s South Beach neighborhood. Demand for San Francisco housing is booming along with the Bay Area job market, and condo developers stand to make a handy profit on new units in the City by the Bay. But the supply of San Francisco condominiums for sale continues to lag. “Because of the exponential (job) growth and because of the lack of land to expand in the city, you’ve had a big jump in high-rise development,” said Patrick Barber, president of Pacific Union’s San Francisco region. Funding new projects became quite difficult during the economic downturn and is only now beginning to rebound, noted Barber, who also serves as president-elect of the San Francisco Association of Realtors. “The need is clearly here – the property is certainly selling through,” he said, pointing to the extreme rapidity with which luxury condos sold out at the Madrone Mission Bay. San Francisco County added some 40,000 jobs from early 2012 to March 2013, and developers need to build around 10,000 new units a year to house those workers, according to a recent The Registry article. However, the number of new projects is falling far short of that figure, and the mix favors apartments over condominiums. That’s in part because, with today’s sky-high rents and stricter financing requirements for condos, it’s currently easier to land funding for apartment projects, Barber said. Still, as the market changes, some developments that gain approval as rentals may ultimately convert to condominiums before completion, he noted. 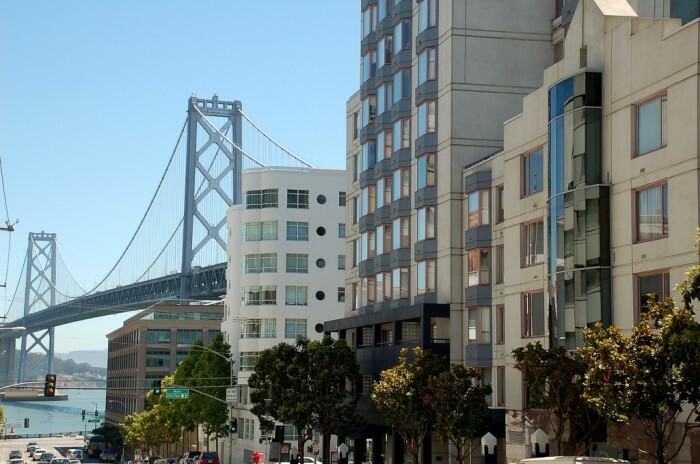 In November the months’ supply of inventory (MSI) for San Francisco condominiums and tenancies in common came in at just 1.4, according to MLS data. That number favors sellers over buyers significantly; in a market that’s balanced evenly between buyers and sellers, the MSI generally ranges from 4.0 to 6.0. San Francisco’s housing shortage, long a political hot potato, has been attracting more attention in recent months from city officials and activists. Of an estimated 40,000 new housing units currently at the planning stage, around 10,000 are earmarked for families earning less than $70,000 a year, the San Francisco Chronicle reports. Meanwhile, many middle-class residents feel they’re getting squeezed out of the market, and Mayor Ed Lee is even exploring building new housing on vacant public land around the city. Further spooking nervous politicians and condo developers was voters’ sound rejection of two measures in November that would have enabled the 8 Washington project to move forward on the Embarcadero. In the works for seven years, the residential development included plans for 134 luxury condominiums but required a height exemption due to its proposed waterfront location. Next PostNext Choosing Between Cats and Dogs? Assess Your Surroundings and Choose Wisely.